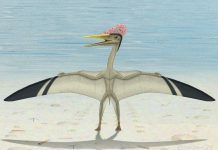 Dsungaripterus pictures depict this animal as sort of an odd bird and it kind of was one. 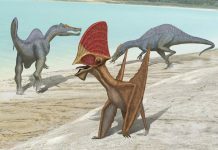 While it certainly had all of the typical features of a pterosaur, it did have an unusual head. 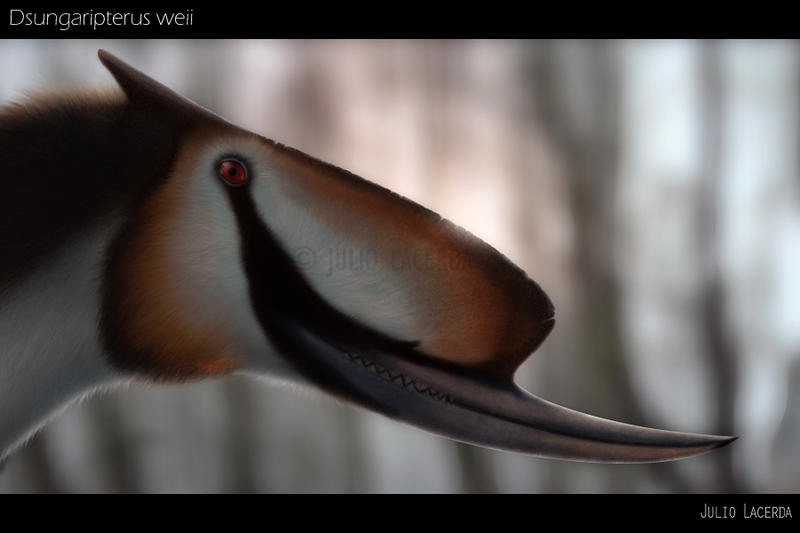 Both the upper and lower mandibles on its jaws curved upwards. This made them look very strange but it also served an important purpose. 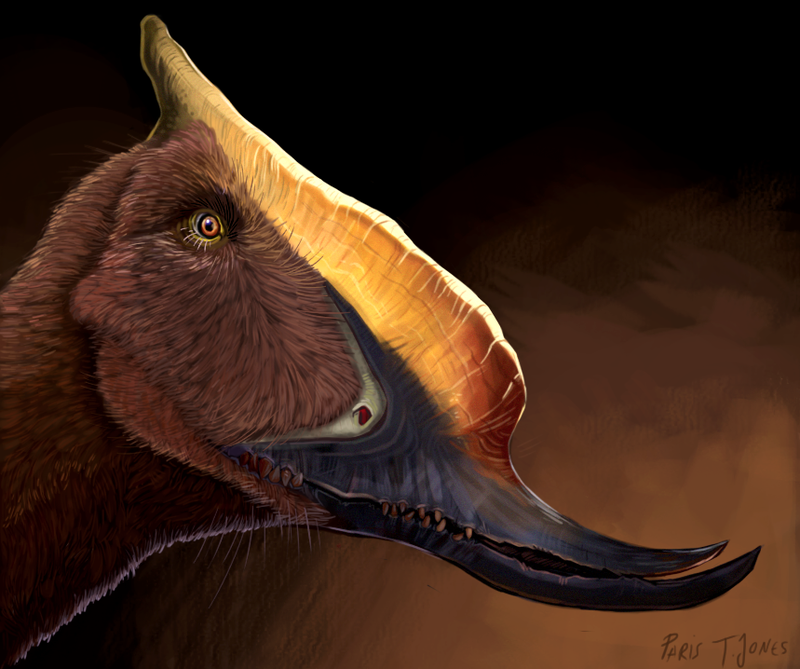 With the mandibles shaped this way, Dsungaripterus could use it to pry up shellfish out of the soft sands of the Asian seashore. 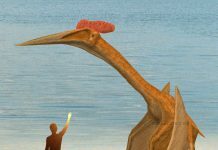 Once it had pried up the shellfish, it could then use its blunt back teeth to crack open the shells. 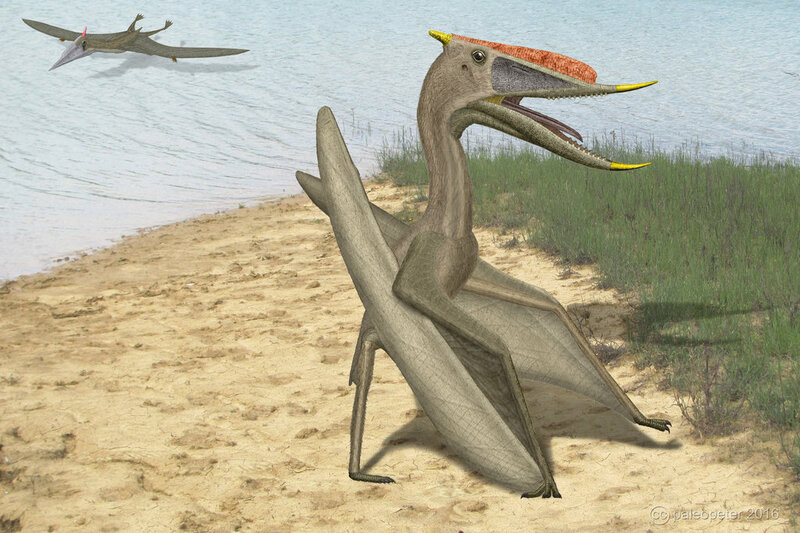 Another important fact about Dsungaripterus is that it probably ate a whole lot of different things besides shellfish. 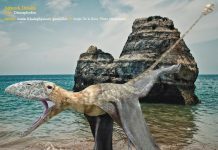 It may have also eaten fish, insects and even dead animals it found on land. 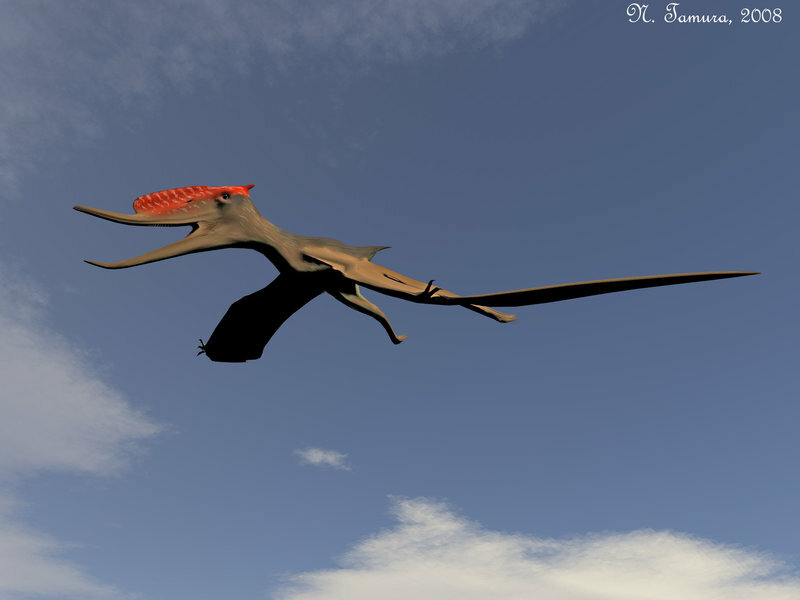 Another unusual feature of this creature’s skull was the crest that was on top of its head. A crest that may have been brightly colored while it was alive. Paleontologists aren’t quite sure what this crest was for, or if it had any purpose at all. 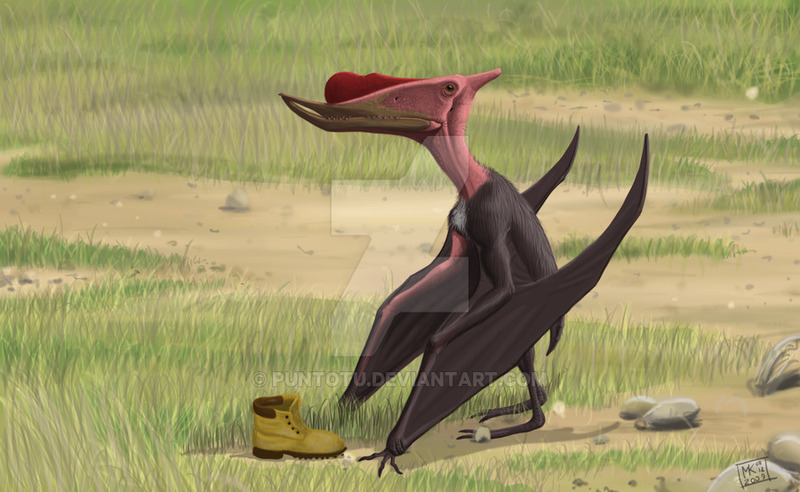 However, some paleontologists have speculated that it was probably used as a sexually selected characteristic. 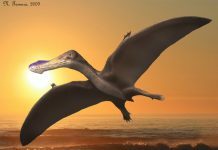 Dsungaripterus was approximately 4 foot long – from the tip of its snout to its toes, and had a wingspan of about 10 feet. It would have weighed about 30 pounds, or about the same weight as 3 cats. 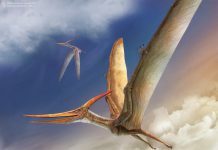 This flying reptile had large eyes and a pretty large brain, so it was probably pretty cunning for its time. 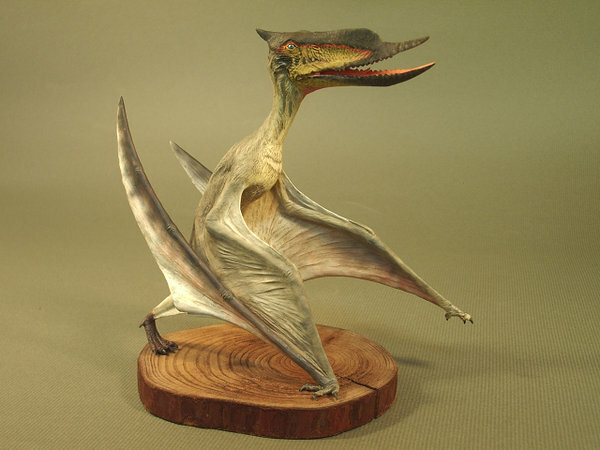 And with its hollow bones and leathery wings, it most likely would have been able to fly for long distances.